Beyond being a very active performer, Atlanta area clarinetist Dr. Jeffrey Brooks is an Artist Affiliate in Clarinet at Emory University, adjunct Clarinet Professor at Morehouse College, the Clarinet Instructor at the Westminster Schools, and the owner of ClarinetMonsteR.com. Before moving to Atlanta in 2014 he served as sabbatical replacement at Florida State University and Ohio University and he also held teaching positions as adjunct clarinet instructor at Central Washington University and Walla Walla University. As a concerto soloist, Jeff, has been heard on numerous occasions. He has presented scores of solo recitals, and has performed with theSeattle Symphony, Seattle Opera, Atlanta Symphony, Charleston Symphony, the Savannah Philharmonic, and many more symphonic organizations. 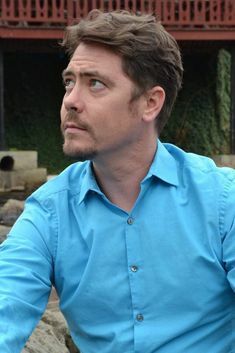 In January 2018, he was a guest clinician at the annual Georgia Music Educators Association’s conference in Athens, GA.
Jeff has recorded for the Naxos and New World Record labels, independently released two jazz CD's available on itunes.com, and recorded on Hollywood film soundtracks, video games, and commercials. In addition, he recently developed "Monsters of Clarinet", a classical and jazz crossover pops program for jazz quartet and symphony orchestra that is currently being marketed nationally. His teachers have included Dr. Frank Kowlasky, Dr. Deborah Bish, Eddie Daniels, Laura DeLuca, Chip Phillips, and Joseph Brooks and he holds a MM and a DM from Florida State University. Check out ClarinetMonsterR.comfor details on Jeff’s clarinet repair and sales business, recordings, performance calendar, and soon to come Clarinet Monster Academy.